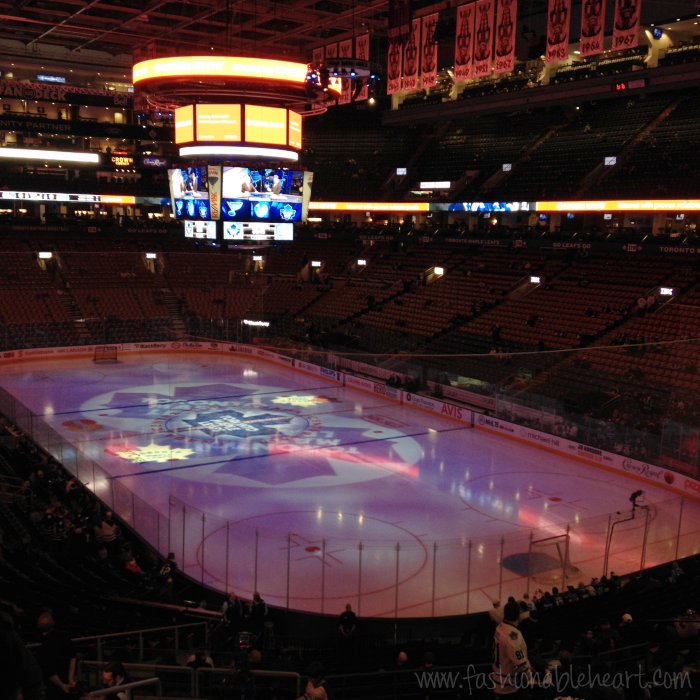 We went to the Toronto Maple Leafs game on Saturday and it was so much fun. Through my husband's hard work at the office, we were offered suite tickets. I have gone to three or four games before this, but never in a suite. Heck, we can barely afford the nosebleeds when they are available. The Leafs have the highest ticket prices in the league and the hardest to get your hands on...even when we are tanking the season. 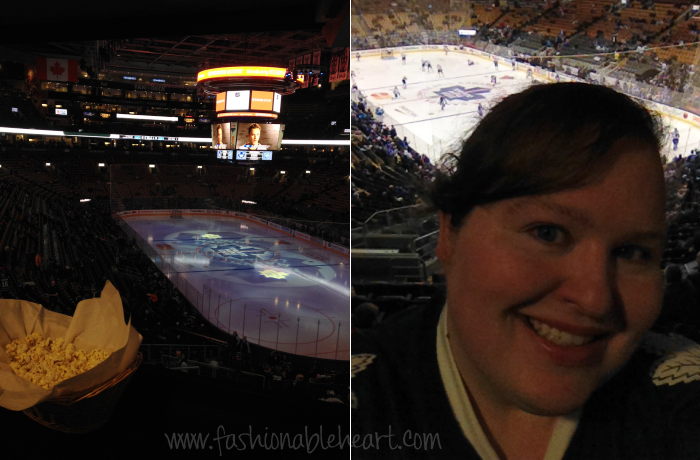 When Saturday afternoon rolled around, I slapped on my Grabovski (still bitter about that buy out) jersey and we drove into the city for a fun date night. I took a few pictures to document the experience! 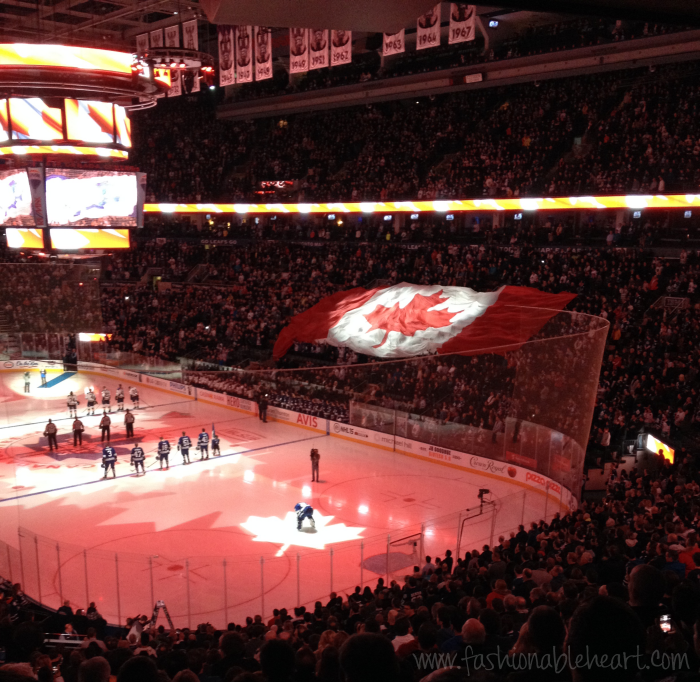 When the anthem plays, you get a big rolling Canadian flag on one side of the arena and a Maple Leafs flag on the other. It's fun to watch! And if you know the song that my blog title is quoting, The Hockey Song, it played during the game and everyone sang along. It is as quintessential to hockey up here as Take Me Out to the Ball Game is to baseball. Are you a hockey fan? Who is your team? I am a melting pot with who I like- Flames, Leafs, Hurricanes, Capitals, and Flyers are my top five! WOW - I saw on Insta that you were at the game, but I didn't realize you had suite tickets. 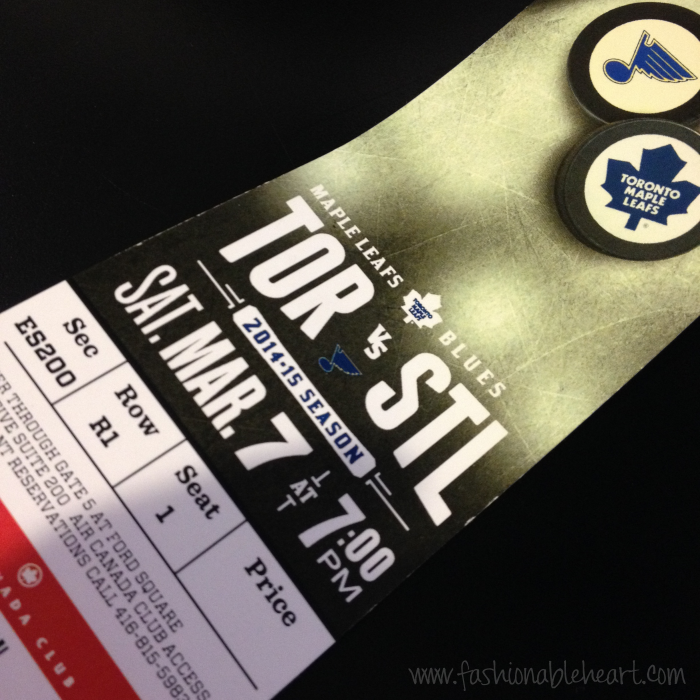 I've only been to a Leaf game once, and it was just the commoner seats. Such a great experience, but I can't justify how expensive they are. So glad you guys had fun!